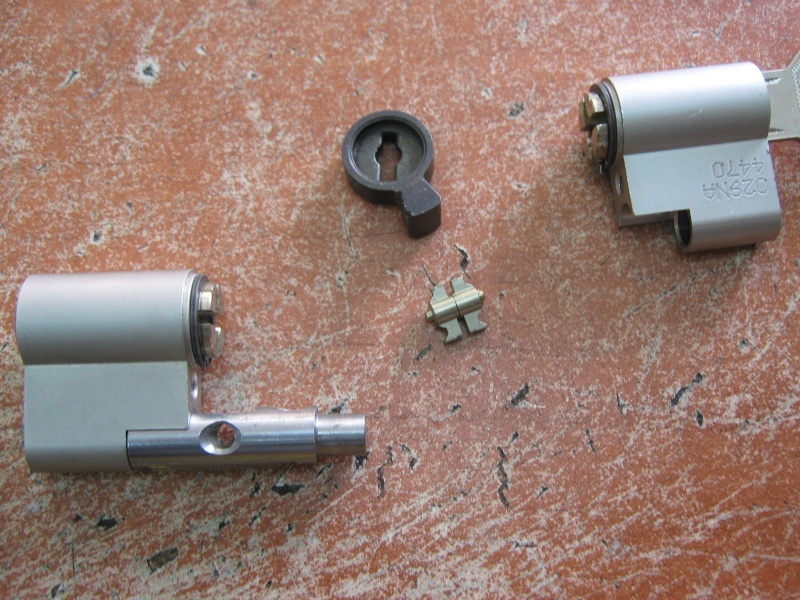 This is the famous Evva 3ks cylinder which in my opinion is one of the most fascinating and Sophisticated locks ever to be made. 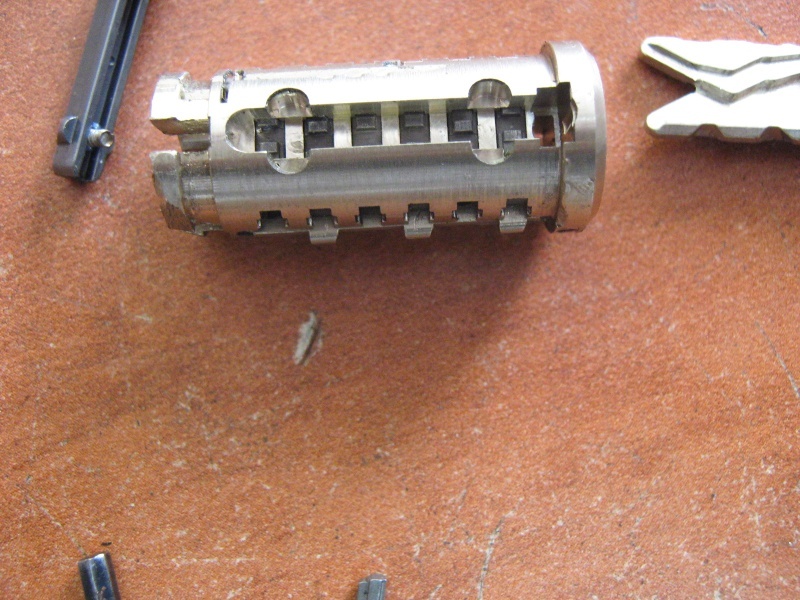 Here are a factory cutaways of Evva and Sea lock (from Zwitserland ) . 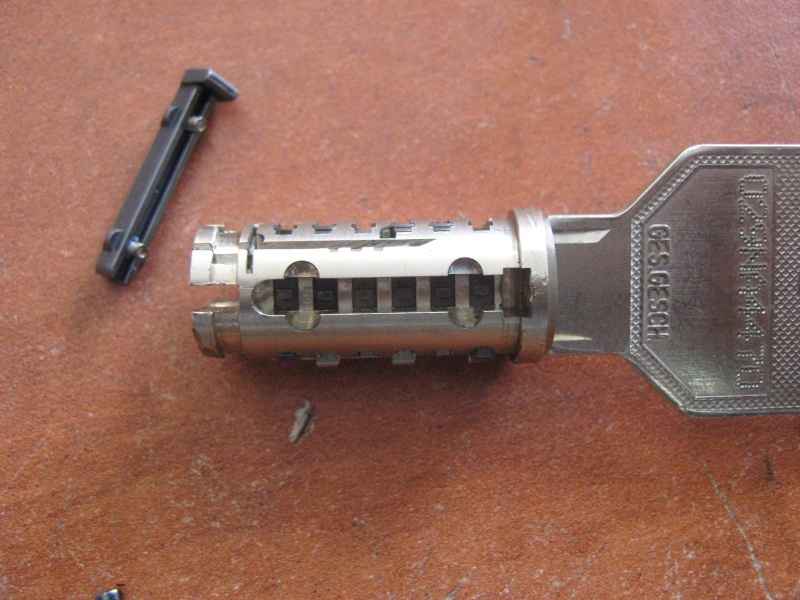 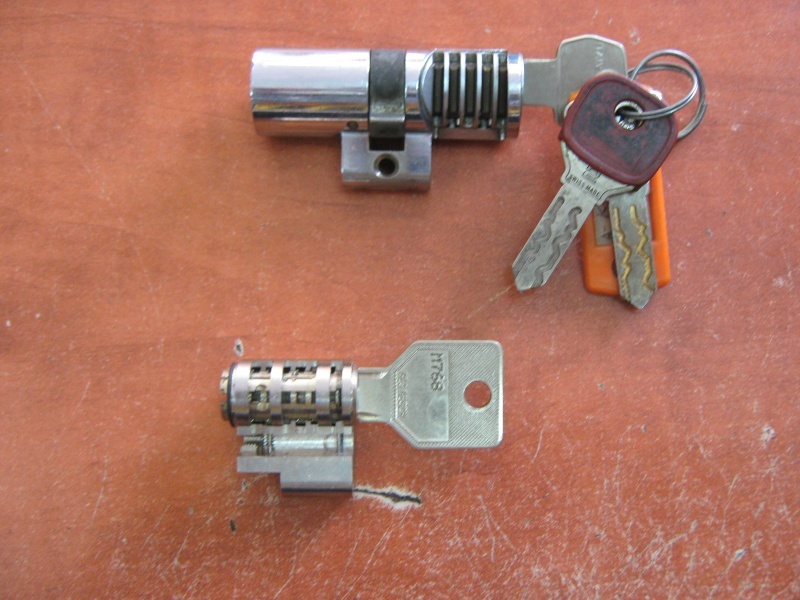 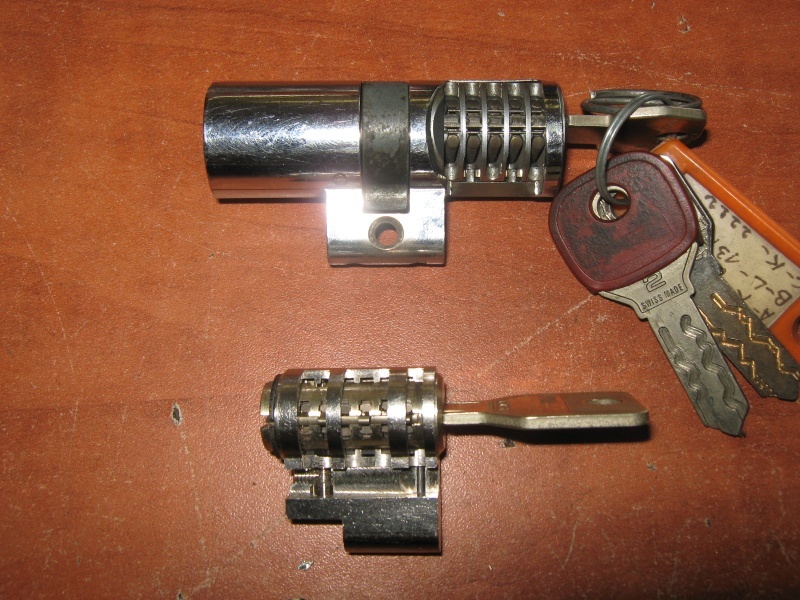 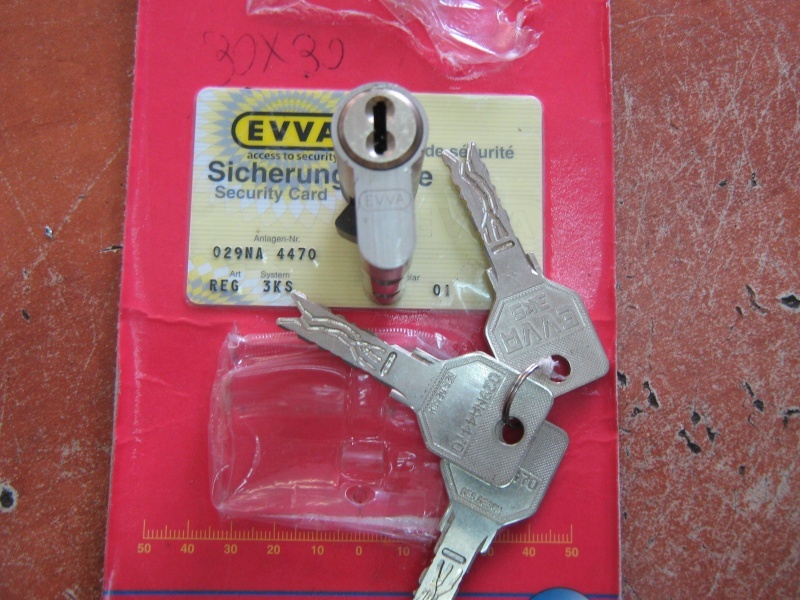 The Sea lock has the same principle but the Evva is much more progressed. 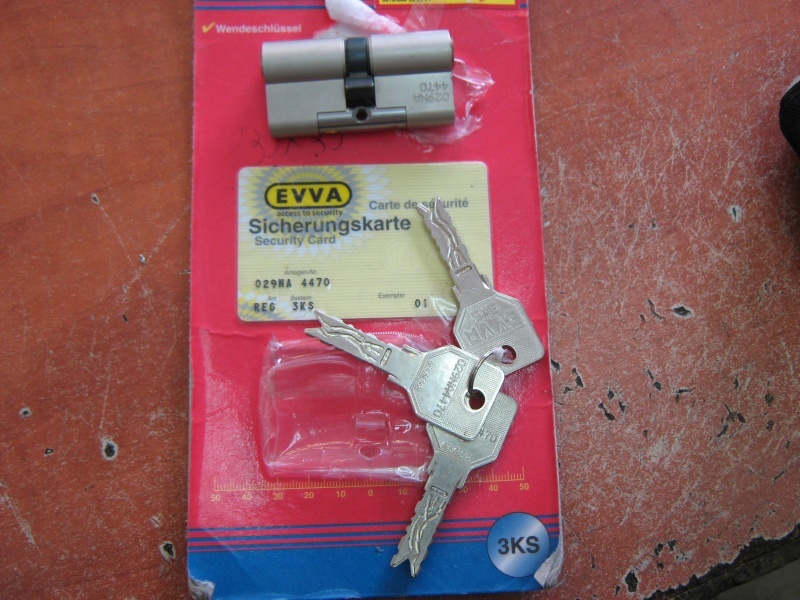 Evva 3ks has 12 different sliders, 6 on each side all of them have false notches. 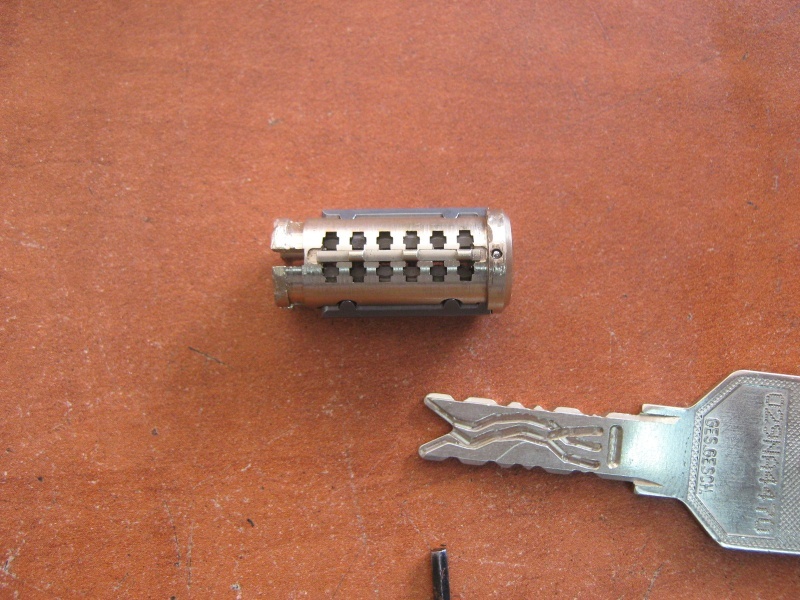 The are no springs but there is a small sidebar at the bottom of lock which is operated from the side of the key. 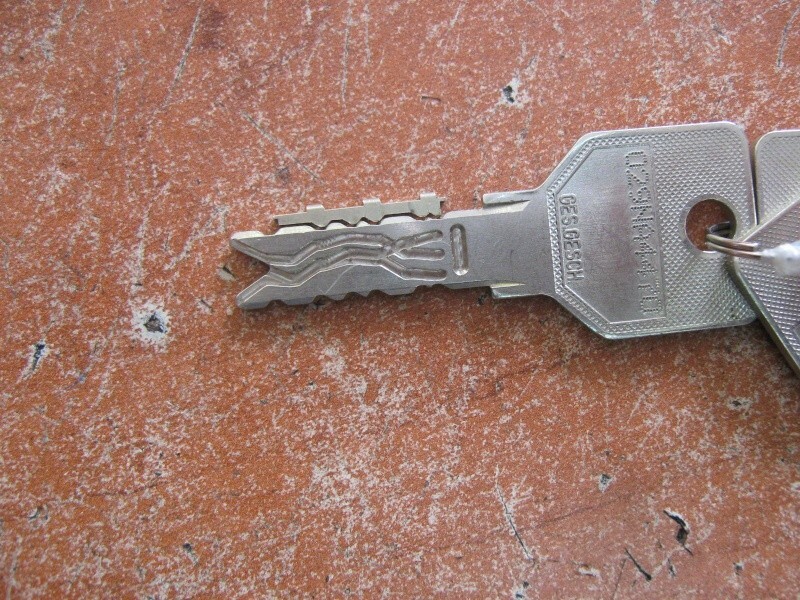 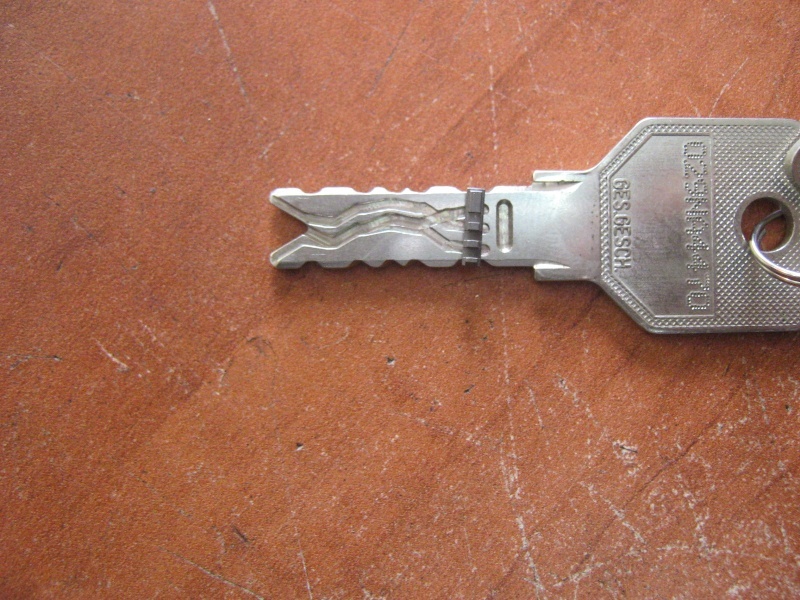 Here is an example of how the pin is set on the key.You need to get 12 of this set in their right place,since there are no springs it must be picked simultaneously ,other problem is when you pick one side moving to the next side will overset the first side. 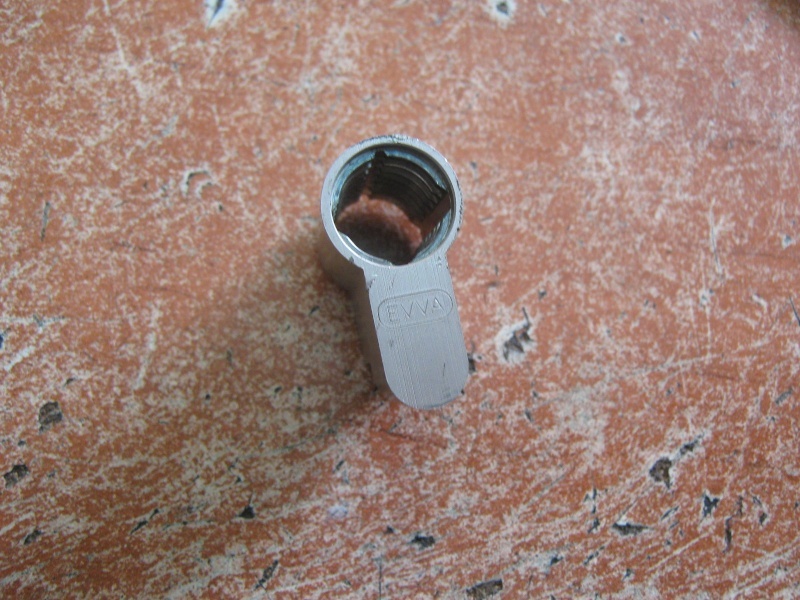 To make things worse (for a lock picker not for the lock) the down side of the plug has another sort of side bar which reacts to the other bow of the key.